Check us out on Anthropologie.com! 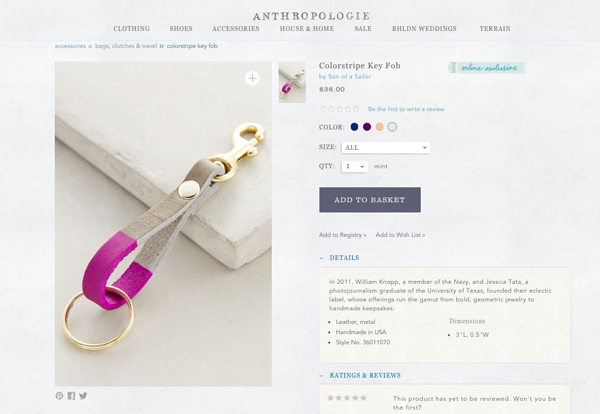 We've been in cahoots with Anthropologie for a while, planning this exclusive line of key fobs for their online store. They've just been unveiled in the shop! 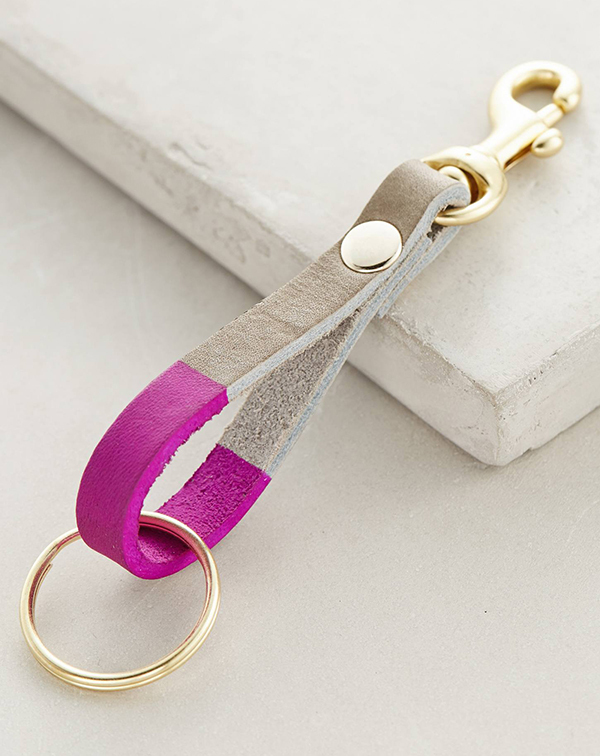 This leather and brass key chain is sort of a hybrid between our larger key fobs, and our more petite key rings. (Think of it as our goldilocks key fob.) It's available in four of our signature colors (navy, fuschia, peach and mint), only at anthropologie.com. The fuschia and grey leather combo is one that we've never tried before in any size. Hope y'all like it! Needless to say, we're deeply flattered to be a part of this prestigious site. Anthropologie is a mecca of craftsmanship, beauty, and creative dressing, not to mention one of our favorite places to shop! 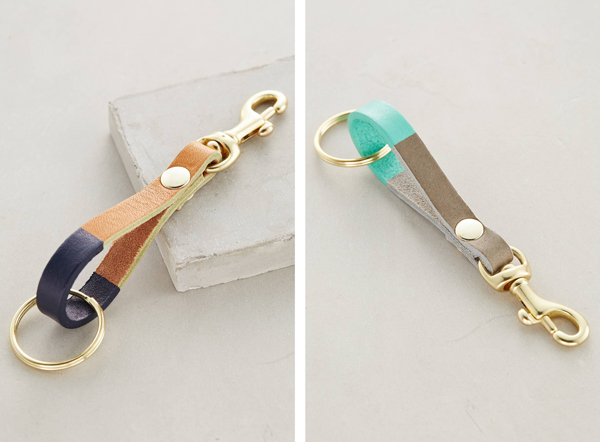 Check out their photos of our new key fobs below, and on the Anthropologie website, here.